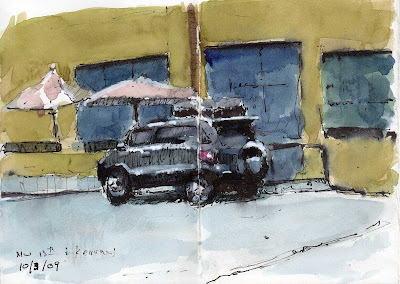 This week, Kurt led us on the streetcar to the downtown area. 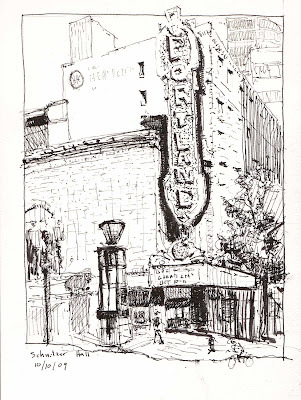 I've never done any sketching in this busy part of Portland. This is one I posted last week with a little lipstick and rouge added. alright...I have to ask....um...lipstick and rouge?? wha? You have a talent for the sketchbook, which is an art in itself. I must add you to my links.